Here at Crafty Monkey we see lots of children coming in to paint Granny or Grandad something special for birthdays and Christmas etc but we also get Grandparents who treat their grandchildren to some Crafty Monkey fun. We have had lots of great comments from grandparents about how much they themselves have enjoyed the experience and how it’s a great place for them to spend quality and relaxed time with their cherished ones. Some grandparents join in the fun and paint an item themselves while others enjoy watching their grandchild or grandchildren create their masterpieces. I am sure they also enjoy the joy and contentment on their grandchildren’s faces. With the Summer holidays fast approaching, we have had an increase in Grandparents why not let the Grandparents bring your child to Crafty Monkey for a few hours. Not only will the children and Grandparents enjoy spending the quality time together but it gives you a bit of a break too! It’s hard to know what to do with the grandchildren sometimes, especially if they are an energetic bunch and your mobility isn’t as you would like it to be. 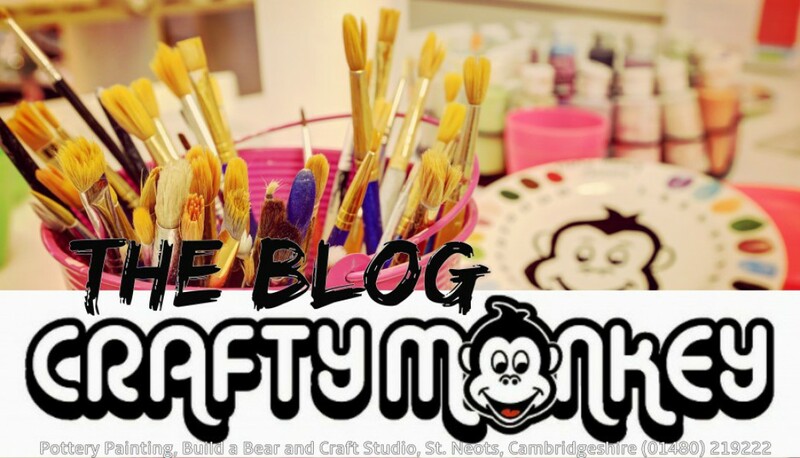 Here at Crafty Monkey it can be a relaxing and calming activity whatever the weather and children and the young at heart can have fun creating something together. Here at Crafty Monkey we clear up the mess and Grandparents can hand them back at the end of the exciting day all tired and ready for bed. Win win situation all round! « The Rainforest at Crafty Monkey!